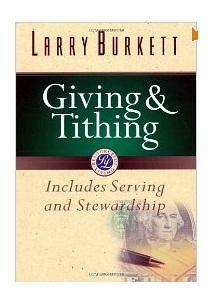 I just read a blog about someone mentioning that Larry Burkett’s book – Giving & Tithing is not very deep. I don’t believe in a tithe minimum or a mandate to tithe, but i do believe in sacrificial giving. I know that sounds somewhat vague, but really is making a sacrifice actually vague? Anyways, it really doesn’t come to much suprise to me that Burkett’s book about tithing is not that a very deep one. There are too many questions about tithing to completely dig into without getting in a tangled mess that won’t make sense. All of the OT practices have a deep spiritual meaning that have been fulfilled by Christ, but when you dig deep into the topic of tithing you start asking the question, “why did the law of tithing change for the church if there was no command to”. This is what happened to me. A friend told me that tithing is not for New Covenant believers, i went on a personal bible study to “prove him wrong”, but in actuality, when i started digging deep into the topic i was more than convinced otherwise. I think what the argument comes down to is did Jesus fulfill tithing to abolish it or confirm it? Then ask yourself is tithing consistent with Spiritual laws of faith and mercy or physical laws of circumcision and blood shed sacrifice. …..All of the OT practices have a deep spiritual meaning that have been fulfilled by Christ? i felt disturb by this paagraph in bewilderment of what does it mean to imply in the christian world? is tithing a part of the OT practices? and what do you mean to have been fulfilled by Christ? to begin with, we must remember that the word OT is not biblical! yes! we have the Old Covenant but seldom or a total absence when we state OT. can we compare these two different setups of God into the same meaning? ofcourse not! covenant is merely like a contract to fulfill the obligation tasked by the first party to the second, while the testament is a written record of all past event that occured mostly in israel like outlining the Covenant of God to moses. in other words the Covenant of God is the verbal agreement given to Abraham without any signs of physical manifestation except the circumcision! 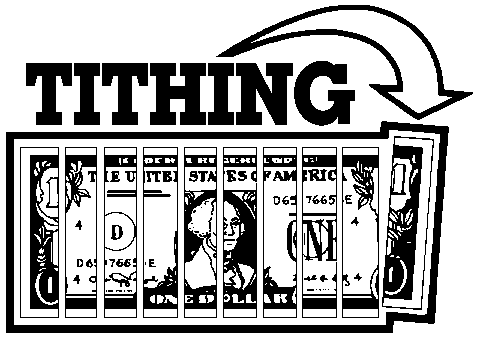 is tithing a part of the Old Covenant? 4 But Abel brought fat portions from some of the firstborn of his flock. The LORD looked with favor on Abel and his offering. what do you mean the first flock or firstfruit in connection to tithe? “Bring the best of the firstfruits of your soil to the house of the LORD your God. “Do not cook a young goat in its mother’s milk. firstfruits – The first produce of a harvest! tithe – a tenth or a firstfruit of your wages. are they of the same root? basically when we say God’s tithe we meant it to be the firstfruit of all our undertaking. like the first born of israel belongs to God! anything that we labored on the surface of the earth which owned by God must be paid in the form of tithe symbolic of the firstfruit from our labor. how do we describe the this firstfruit of God? 28 In this way you also will present an offering to the LORD from all the tithes you receive from the Israelites. From these tithes you must give the LORD’s portion to Aaron the priest. 29 You must present as the LORD’s portion the best and holiest part of everything given to you. ……..the best and holiest part of everything! if God is holy therefore his tithe is the holiest! can’t you see the gravity of this commandment and later to be abolished by some in the NT teachings? really i don’t understand these people if they came from God at all! The first fruit offering was the first and the best, and was a sacrifice of 100% of the best crop you could harvest at the time. This is a great representation of Jesus Christ. The tithe on the other hand, was a meager 10%, was not to be taken from the best, and was given after all of your food had been harvested. How dare you liken the first fruit example of our Savior with the example of giving a tithe. There’s is NO comparison! Study to show yourself approved unto God. . . rightly dividing the word of truth . . .
mr. steward, the law says and the most important part is “thou shalt have no god before me” because he is a jealous God! the idolizing momentum of man came from his heart. any effort that we harvested from our strength would be our first love! like the fruit of our crops if you are a farmer, the first child of your family and the wages from the whole month work. since he commanded us not to commit idolatry HE SETS IN MOTION these sacificial laws to prevent us from sinning in our heart. because the love towards the fruit of our labor may cause us to commit such that sin. like what jesus said “if you loved your child more than me you are not worthy of me” this example of jesus can also be attributed to abraham when he was tried of his love to his child isaac. we may presume that God had intentionaly tried his heart if he had merely loved his child more than God. for if he did not obey that’s exactly will put him to IDOLATRY! TITHES, THE FIRST FRUIT AND OTHER SACRIFICIAL LAWS ARE THE EXAMPLES OF IDOL PREVENTION METHOD SETS UP BY GOD! If you removed them all then you are authorized to commit such that sin as IDOLIZING YOUR SELF! jesus christ taught us not to neglect the element of the spirit before we cast our tithe in his treasury. “Woe to you, teachers of the law and Pharisees, you hypocrites! You give a tenth of your spices—mint, dill and cummin. But you have neglected the more important matters of the law—justice, mercy and faithfulness. You should have practiced the latter, without neglecting the former. no sign of tithe annulment from his message! can’t you see in tithings the first tenth is for God and not the last tenth! that’s one good examples of putting God first in man’s love. did he say that tithe is not the ultimate sacrifice for God? ‘When you receive from the Israelites the tithe I give you as your inheritance, you must present a tenth of that tithe as the LORD’s offering. 27 Your offering will be reckoned to you as grain from the threshing floor or juice from the winepress. 28 In this way you also will present an offering to the LORD from all the tithes you receive from the Israelites. From these tithes you must give the LORD’s portion to Aaron the priest. not only the best BUT THE HOLIEST! the firstfruit, the first ofspring and the first tenth are the examples of love of God first! don’t you ever forget that! The tithe was NOT the best part. The tithe was not even the first gift that was given from their crops. the first fruit was the first offering made from their increase. Leviticus 27 CLEARLY states that the tithe was not the best. It is plain as day, and yet, you defy something so clear from God, and you still say it was the best. You give an example of the levites tithing off of the tithe that was given to them, but you forget, the levites are not giving from the best of the whole tithe. They are just giving best 10% out of the random 10% they received. Overall, the best you can claim is that the priests received 1% of the best of the whole tithe, and the levites received 9% of an average tithe. .-= steward´s last blog ..Bible Verses on Spirit Led Giving =-. the portion out of the tenths is tenth and no other interpretation to be employed here. in num 18, there are three tithes mentioned in chapter 18.
the peoples tithe, the levites tithe and the priest tithe. ….v26 says: `When you receive from the Israelites the tithe I give you as your inheritance, you (Levites) must present a tenth of that tithe as the LORD’s offering. it’s undeniably a three tithes! let’s calculate in the examples given n num 31 of the 675000 sheeps. 675000 divided in two would be 337500 sheep per division. …v28 From the soldiers who fought in the battle, set apart as tribute for the LORD one out of every five hundred..
that means 1/500 for the soldiers. …v30 From the Israelites’ half, select one out of every fifty..
that means 1/50 for the people. 337500/500=675 of the soldiers tithe, while 337500/50=6750 of the peoples tithe. numericaly speaking there were seem different in form than the one written in num 18. but the results are still the same. since the num 18 had mentioned 3 tithes, we can use the formula of num 18 to clarify if the word PORTION was indeed a tenth of God. 6750 sheeps x .1=675 from moses to the priest who represent God! do we contend this figure in num 31 to be a none comparison in terms of those fractions given; 1/500 and 1/50? let’s analyze these two fractions on how did we come up with our solutions to the problem. 1/500 can be expressed as 1/10 x 1/50, is that correct? we can combine these two, 1/50 and 1/50 to be as 2/100 as the author said not in conform to the modern mathematics. it should be 1/25? if you have 1/50 sheeps added to the 1/50 goats how would you make this up? can we write 1/25? how many goats and sheeps in 1/25? so the counting must be 2/100 thatcan be expressed also as 1/10 x 1/10! 1/500 x 1/50 can be made as 50/500 to become 1/10 or 500/50 to become a 10. 1/500 x 1/50 is equalled to the three tithes that has been mentioned in num 18! so the PORTION that has been said to be the BEST and HOLIEST is none other than the tenth of God! no other solution but this! I have researched on tithing and after 35 plus years of tithing I stopped tithing. I saw clearly that the tithe, first of all it was never money. And when I saw what was done and when it was done for tithing it became clear to me that the modern church is using an old covenant practice to live off of. I am not a thief and I believe what the Scripture says about “cheerfully giving”….. That is new covenant teaching. I found nothing mentioned as a practice in the new covenant except for historical references to make a point on the subject that was being discussed where mentioning tithe came up. The main thing that I have gained is the joy of giving freely and hearing God’s Voice & Spirit when it tells me what to give in faith. 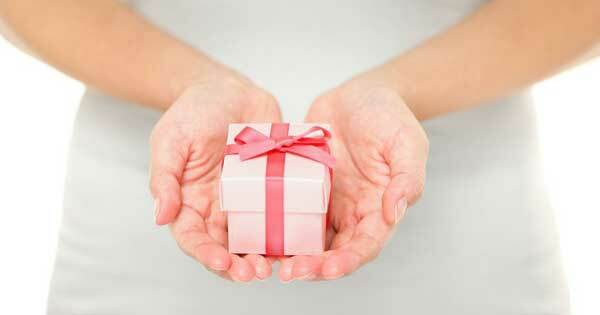 Giving is now exciting without the thought of compelled mandate, which if not done you will be judged by God. Last but not least, the content in which the tithe is mentioned in Malachi, is the content for what was going on there; this has nothing to do with the New Covenant Church! But, anyway, I just wanted to chime in. My relationship with God is now a love relationship without the guilt of did I tithe right or at all! Last but not least, I have always been blessed by God and provided for in different ways at different occasions and for different needs; but, I have never had the windows of heaven opened up and a blessing poured out on me that I don’t have room enough to receive! But I have been blessed! Hi, Please go read( Deutronomy 14: 22-29) If you see that the tithe was turned into money or sold for money then ask yourself why God did not ask for money for tithing in the Old Covenant. Money is not holy on to God,its ridiculous, insulting,and totally stupid to try and add or twist what the scriptures clearly says about the tithe Israel was commanded to pay. Why people want to change what the bible says,I dont understand or comprehend the motive behind it all. Only those who manipulate the scriptures for their own gain will argue that God wanted Israel to tithe from money they received. I hope and pray that christians understand we only came into the kingdom through JESUS and not before. You and I were not allowed to go near the Sanctuary where Arron,his children and the tribe of Levites were permitted by God. We are christians because of Jesus and what Jesus did for us not the nation of Israel. Stop being so proud and stupid. yes! that’s correct to say it that money is not what God had concerned about BUT the man’s heart of where it sets, he may cause his heart to commit an idolatry. don’t you know that the tithes are tributes to God? if God is the king to his kingdom then his tithe is a Royal tribute to God’s kingdom. if we tend to withold it then we are not respecting the existence of his kingdom. because tithing described the existence of his kingdom. ….your will be done on earth as it is in heaven. if the tithe is the will of God then it is imposed in heaven too! Willis, I think one of the biggest problems in your argument is that you are assuming that every mention of the word “offering” is a tithe. That is completely incorrect! Tithe simply means “tenth” or “tenth part”, and you can’t just replace “offering”, “gift”, or “first fruit” with the word “tithe” just to simply prove your point. In Numbers 18, the word tithe or tenth is mentioned six times. Each time it refers to either the 10% tax that Israel had to pay in order to support the Levites, or the 10% tax that the Levites had to pay to the Priests. I pray that God will bless you with a full understanding of His word! 2. Tithes were given the the Levites Priests only. 3. Tithes are given twice a year not monthly or weekly. 5. Tithes is a requirement under OT laws. When it comes to giving to God and his work we are apt to go into researches to prove why we should not give to God and the work of God for whatever reasons. Unfortunately those who advance the course of Satanic and Occult societies out give many of us who profess to know God. Some of us who argue against tithe and make it void in the New Testament (NT) are quick to claim other promises in the OT not specifically pronounced in the NT. I have been a believer for so many years and by God’s grace not a professor of the scriptures but one who has chosen to follow God practically. I have no problem in paying tithe and I will advise those who do not pay to be content with their position and leave us with our misunderstanding of the scriptures! I don’t pick a quarrel with such people. However I want to say that tithe paying being scripturally right in the NT or not, I have seen and received practical blessings in paying tithe. God has been good to me and I will continue to pay tithe. When it comes to giving to God and his work we are apt to go into researches to prove why we should not give to God and the work of God for whatever reasons. Unfortunately those who advance the course of Satanic and Occult societies out give many of us who profess to know God. Some of us who argue against tithe and make it void in the New Testament (NT) are quick to claim other promises in the OT not specifically pronounced in the NT. I have been a believer for so many years and by God’s grace not a professor of the scriptures but one who has chosen to follow God practically. I have no problem in paying tithe and I will advise those who do not pay to be content with their position and leave us with our misunderstanding of the scriptures! I don’t pick a quarrel with such people. However I want to say that tithe paying being scripturally right in the NT or not, I have seen and received practical blessings in paying tithe. Those blessings are from God and he has been good to me. My resolve is to pay tithe without ceasing. Even if I am wrong, my conviction that I put the money into God’s work is enough satisfaction. Ones home to troubled teens. Movies on disk! These are examples of ministry. I want to correct the person who stopped tithing because in the OT it was commodity they use to pay tithe. Please read Matthew 23:23 and you will see that tithes were been paid with Mint,anise and cummin all which represent money. And Jesus clearly stated that, those you ought to have done and not leaving the later undone. The later which is tithe, so Jesus endorsed tithing. He told the Pharisees not to neglect the weightier matters and not forsaking their tithe as well because those weightier matters determines the acceptance of your tithing. Yes. Please read all of Matthew 23, not just the parts you feel are relevant. In Verse 23, Jesus goes on to say, obey tithing but don’t do as they do and ignore justice, mercy, & faith. Keep picking out the one verse and applying it to those Jesus wasn’t talking to. The Jews still worshiped at the Temple and still needed a priest to sacrifice animals on the alter. After the crucification the curtain was torn, the priest was no longer needed. Even among Jewish congregations today tithing is not practiced as there is no temple and no Levites to support. The only way to show Love of God is only throuh giving above the the 10% tiches. You can do greater things, as Jesue said,in John 14.10-18. 90% of mammon is there for you to challege in the battle field. God is raising giant killers in the promiseland to take our land. Increase in giving, let God arise, enemies flee in all directions. psalm 28.1. you got to kill 90 % of enemies in the land claim our original land.